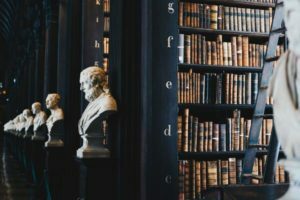 In this article, we’re going to deep-dive into Stoicism, a philosophical school whose ancient Greek founders codified the #DieLiving mindset long before Zeus rolled the first jug of TBNN down from Mount Olympus. We begin by defining philosophy and identifying some of the tangible benefits we can achieve by taking the time to learn and apply a few basic philosophical principles. In 2019, the word philosophy may conjure images of Ha-vahd types engaging in abstract debate about the hypothetical existence of metaphysical reality. That image is a far cry from Stoicism’s roots and the teachings of the OG Stoics. While our modern strength and conditioning programs may be far superior to those employed by the original Olympic athletes, some would argue that the methods for building mental strength have come full-circle to the techniques taught by our ancient ancestors. During the days of Plato and Aristotle, the purpose of philosophy was to help the average Joe make sense of the world and develop a framework for his life in accord with his values and goals. In short, life is messy and confusing, Philosophy can help us rationalize our experiences, and like a trusty lensatic compass, be relied upon when fancier gadgets inevitably fail to get us on target. More concretely, Stoic strategies can help treat anxiety and depression, lower cortisol levels (the natural enemy of gainz) and improve the overall quality of one’s life. You likely already have some sort of philosophical framework in place. Have you ever stopped to think about how you use it to navigate life’s challenges? Are you a member of a specific religious denomination? There’s a philosophical framework there. Additionally, one can have specific philosophies for parenting, leadership, entrepreneurship, and so on. 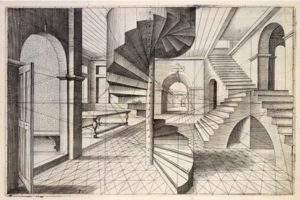 I am not advocating that you abandon the framework currently getting you out of bed in the morning, but Stoicism can help tie together seemingly disparate parts of one’s life into a standard template applicable to any scenario. What do Roman emperor Marcus Aurelius, Medal of Honor recipient Admiral James Stockdale and former Secretary of Defense James Mattis all have in common? Besides being held up as quintessential warrior-philosophers of their times, all rely/relied on the measured teachings of Stoicism to guide their thoughts and actions. Looking at the philosophy’s more well-known tenets, it’s easy to see why Stoicism is especially well-suited for the rigorous life of the warrior: Enduring suffering, high self-imposed standards and self-control are perhaps the most obvious examples. But what if I told you that by practicing Stoicism, the warriors mentioned above were unknowingly performing stress management techniques prescribed by modern psychologists, yoga gurus and meditation apps? In fact, Donald Robertson even wrote a book about the link between Stoicism and modern cognitive-behavioral therapy; The Philosophy of Cognitive Behavioral Therapy . We’ll come back to some of the practical uses of Stoicism and point out a few mental exercises you can start using today to combat unhealthy thought patterns and begin each day like a Stoic. But first let’s outline the basic tenets of Stoicism. The concepts taught by Stoics are actually fairly easy to wrap your mind around, even for a Marine grunt like me. The ultimate goal of Stoicism is to provide the tools for one to live a relatively happy, virtuous and tranquil life. This does not mean a life free from suffering. Stoicism teaches us to acknowledge the suffering that is intrinsic to life and to not only cope, but thrive even under the most unpleasant circumstances. purpose that comes with serving one’s country. Separation often leads to a state the Stoics called allotriôsis, which literally translates as “alienation”. Stoics also teach that when times are good, we should exercise moderation and steel ourselves to the inevitable challenges ahead. This is the essence of Stoicism, which has reemerged recently as the counter-point to the modern cultural dictate that feeling good all the time should be our goal. Speaking personally, I EAS’d from the Marine Corps ten years ago and still find myself longing for that sense of purpose that I achieved as a 22-year-old rifle squad leader. This sense of lost purpose began to ease only as I learned to apply a Stoic outlook to my life. While the stakes are not as large, and my contribution to society is harder to quantify, the words of Marcus Aurelius and Epictetus reached through the ages to help me understand that just by dragging myself out of bed every day I am playing an integral part in a grand cosmic symphony. To paraphrase a lesson from Epictetus: When feeling lost, I imagined myself as an actor in a play. It was on me to play my part to the best of my ability, no matter the role assigned. Fast-forward to today and I am married and experiencing the joys and challenges of fatherhood for the first time. Luckily, I have the Stoic principles to help guide me through my new duties as both a father and a husband. It is worth reiterating the fact that Stoicism is intended to be an interactive philosophy. Much like achieving our fitness goals, it’s not enough to simply spam social media with quotes superimposed over pictures of mountain sunsets. In order to achieve the full range of benefits, it’s important to incorporate certain mental exercises into your daily life. 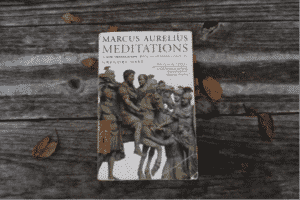 Even Marcus Aurelius, who was the most powerful person in the world during his time, continually reminded himself of this in his book, Meditations, which is a collection of his personal journaling. He often chides himself for becoming lazy and allowing his mind to stray too far from the Stoic framework. Below are a few exercises prescribed by my three favorite Stoics (Marcus Aurelius, Seneca and Epictetus) which I have found to be the most useful in my daily life. This quote likely summarizes the first chapter of almost any mindfulness or cognitive behavioral therapy (CBT) text book. Applying this concept in real life requires one to honestly assess their own thought process by answering the following question: Is this thing that is bothering me within the realm of things I can actually control? If the answer is yes, then I can do what is within my power to fix it, which should alleviate the mental discomfort. If the answer is no (the more common answer, in my experience), then why am I expending so much mental energy worrying about it? For example, when I feel myself becoming agitated, I will walk through the “can I control this?” equation. Maybe I’m in a crowded subway car and other passengers are encroaching on my personal space. Thinking through my predicament, I can recognize that I have three courses of action at my disposal: 1) Continue to allow myself to stew as my blood pressure, heart rate and stress hormones rise and pray that I can get off the train before I have an anxiety attack, 2) Freak out and start stiff-arming people out of my way, or 3) Accept the fact that I choose to live in a busy metropolitan city, and recognize that the people crowding me don’t necessarily want to smell my armpits either. The people that choose option 1 are your proverbial “ticking time bombs”. I was that person for probably the first thirty years of my life, and trust me, it doesn’t end well. Admittedly, option 3 sounds too simple and it took me several weeks of active implementation to realize the full effects. I’ve gotten to the point now where simply having this conversation with myself creates noticeable physiological changes; I can feel my heart rate slow, my muscles loosen and my mind clear in situations that used to nearly paralyze me with anxiety. Seneca’s exercise is intended to keep oneself from becoming too comfortable with their current lifestyle as it could be taken away at any moment, a truth that Seneca knew all too well. After accumulating wealth and prestige as a Roman senator, Seneca stepped on one too many powerful toes and was exiled and eventually forced to commit suicide.